Dave Mallett keeps an old tintype of his great, great grandfather hanging on the wall of his writing room. He surrounds himself with ancestry: old books, old boats, cars, guitars, and records. "I like to keep in touch with the past because to me, music is timeless." Dave reflects, "I try to write songs that would have meant something to those who have gone before us as well as those yet to come." In a lifetime of music, Mallett has been greeted with tremendous acclaim for his songs that seem both universal and personal. "Dave Mallett may be the only artist working today whose portraits and stories, derived from the American heartland, can come close to being compared to the works of Stephen Foster," writes Popular Folk Music Today. Billboard magazine adds, "Mallett is a first-rate folk singer and writer. His portraits and townscapes are camera-sharp, and his understanding of his subjects is profound." Dave's career began at the age of ten when he and his brother performed at local country fairs, grange halls, and school auditoriums throughout New England. During his days at the University of Maine, he began listening to singer/songwriters. "Combining the raw elements of real country or rural music with the lyrical quality of folk was what I was drawn to," Mallett remembers. Known as "the voice of New England," Mallett's talent for combining compelling lyrics and beautifully crafted melodies caught the attention of producer Noel Paul Stookey (Peter, Paul and Mary), and in 1978 he recorded the first of nine albums of original material. His songs have been performed by over 150 artist, including Emmylou Harris, Pete Seeger, Peter, Paul and Mary, John Denver, Hal Ketchum, Arlo Guthrie and even the Muppets. His folk anthem, "The Garden Song," has been recorded by a variety of artists in a number of languages and styles and has yielded a best-selling children's book, "Inch by Inch," published by Harper Collins. His music has been featured on all major networks, public television and cable's A&E, as well as The Nashville Network. 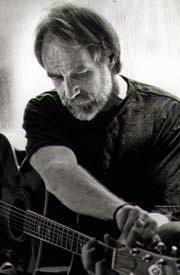 Mallett's live performances at venues such as The Barns of Wolf Trap, New York City's Bottom Line, San Francisco's Great American Music Hall, and festivals such as The Newport Folk Festival, Philadelphia Folk Festival and Seattle's Bumbershoot Festival have earned him a reputation as a dynamic, trenchant artist. His popularity grows with each new album, and his tour schedule has broadened into Canadian and European territories. Life in rural America is Mallett's hallmark. Some of his most requested songs were inspired by his childhood on the family farm in Maine. "The Haying Song" recalls long, hot days pitching hay; the devastating lightning strike that destroyed the family farm is recalled in "Fire," and "April" is a paean to Spring as only those from a cold climate can appreciate.